You are here: Home / MIDI Keyboards & Synthesizers / What’s the Best Akai MIDI Controller Keyboard? Professional recordings and performance are dependent on the quality of your gear and electronics. The MIDI controller you add into the mix transforms your sound and boosts the beat for your next track. You want to make sure you have the right make and model to get the effects and mixes that best fit your style. 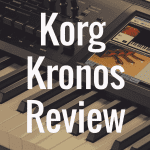 And in this article, we’re going to examine MIDI controllers made by Akai. Specifically, what features are most important, how much money you’ll have to spend to get a quality keyboard, and which controllers are some of the best available on the market. In order to better help you, please take a look at our interactive table below, which allows you to compare and contrast Akai MIDI keyboards against one another, along with MIDI controllers made by other manufacturers. Akai MIDI controllers are consistent with focusing on high–end electronics and effects. Each of the 25, 49 and 61 keys have similar compatibility with a quantity of software and hardware functions. Akai’s focus is specifically to offer more recording capability and integrating the latest hits into the keyboard. For many recording musicians, their continuous approach to enhanced controllers set them apart from the crowd. 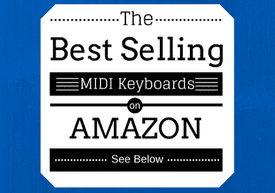 Below, please take a moment to view some of the best-selling MIDI controllers on Amazon. An advantage of Akai is the depth of pricing they have included in each model. You will find that some of the 25 key controllers have some of the lowest prices on the market, beginning as low as $60 – $70. If you want simple additions to your recording, then you can add this into the sound bank with a very small investment. Of course, you won’t be able to get the wider range of controls and effects that connect to hardware; however, you will easily be able to begin connecting basic functions that MIDI controllers offer. If you are looking for a more sophisticated model, then the complete Akai controller of 61 keys offers the other end of the spectrum of pricing. You can expect the mid-range Akai models of 49 or 61 keys to range at $250 – $300. These designs offer all the connectivity and effects needed for MIDI players. 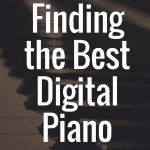 The 61 keys offer the highest range, usually at $450 – $600. 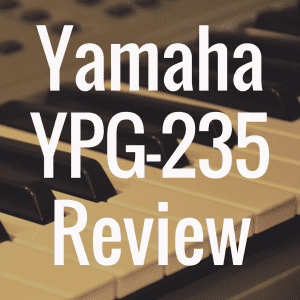 With these players, you receive extra support for recording, including extra drum pads, controls, effects, sensitivity of keys and larger sound banks. 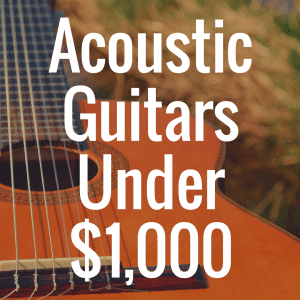 For the serious musician, these offer a worthwhile investment. Many musicians recommend Akai, specifically because it is known for it’s lightweight and compact designs. The focus on electronic additions and controls take out some of the added weight that other types of models have. Akai expects musicians to use the MIDI controller not only for a home recording, but for compatibility and extra effects for a performance as well. The focus is to offer portability, specifically with the functions of controllers. The Akai models are known for their effective automapping and integration into VSTs. You will find the setup and changes of controls are easy to fix in comparison to other brands. They have also developed versions that are simple to use with plug-ins, allowing you to expand the range of sound you are using for your next recording. The focus of many of the models is to offer a plug and play set of features so you spend less time configuring your keyboard and more time playing. While you are looking into ease of use, you want to consider the way the controller interacts with other keyboard features. While Akai is known for compatibility with most software, it is important to check on how it interacts before deciding to invest in this item. It is also essential to look at the DAW interactions with the controllers. Akai has focused on providing full compatibility; however, there are some limitations with specific models. You want to look at the extensiveness of use in most models. While there are automapping features, most Akai models are focused on providing expansive control options and sound banks. You can expect a learning curve to effectively use the controls and effects and to integrate this with your current software. Akai focuses on the recording musician by adding in effects and sounds that MIDI is popular for. If you are a performer, expect the touch sensitivity of Akai MIDI controllers to have some limitations. Some of the later or more expensive additions include semi – weighted, velocity sensitive and after touch. However, you usually won’t find an 88 key addition or fully – weighted, hammer impact with the Akai models. This brand’s interest is on the sounds, recordings and effects required for musicians. Akai’s connections are focused on universal features and building in a plug and play option. Each Akai model is known for the effects and controls in their keyboards. Akai has expansive sound banks with even the 25 key versions carrying over 16 GB of new sounds. You can find hundreds and thousands of MIDI sounds to add to your recording, making it one of the strongest features of the Akai model. While there are some sounds that may seem irrelevant, Akai caters to diverse genres and recording styles. The effects and controls always come with the extra options for recording. You will find drum pads in every version of the controller, offering more use for recording and performing. Added in effects, including fades, reverb and assignable knobs are one of the highlights. Encoders and buttons are in all additions with some of the 61 key styles having maximum additions, including arpeggiators and assignable knobs. Akai MPK249. The MPK addition of Akai is one of the most popular of the brand. This newest version is known for extra controls that set it apart from the competition. The design was developed for professionals that require intense programming to meet the demands of crowds or for their next recording. It is known for the MPC style makes, including pads, swing, note repeats, arpeggiator and note manipulation. It includes 16 performance pads, faders, buttons and 8 encoders. 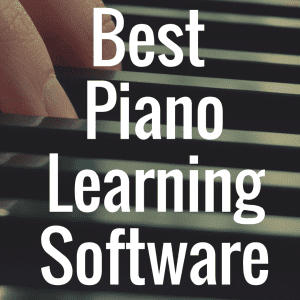 The concept of this model is to offer complete control of the software through the controller, such as with QWERTY commands and soft controls, specifically to speed the process of recording. You can read our review of the Akai Professional MPK249 here. Akai LPD8. This is a new addition to Akai, designed specifically with advanced technology for the recording and performing musician. The controller is 25 keys with drum pad controllers, basic knobs and record controls with plugins. You can command VST kits and external hardware with this model. The highlight of the LPD8 is the new concept of using a wireless or bluetooth alternative. You don’t have to connect cords and have versatility with the model making it easier to control and work with your recordings. Akai Advance 25. Affordability and versatility are the advanced features of this Akai model. If you want a full controller system without the extra keys, this model offers everything needed. The model includes 8 trigger pads, 8 control knobs, pitch wheels and the ability to control any VST. It includes over 10,000 sounds to use with your next recording. While it’s compact, with only 25 keys, you are able to use all the controls available for larger models. This release includes the VIP software, also known as the Virtual Instrument Player. This means that you can load sounds with or without the DAW while integrating your library. You can also add key zone splits and mappings to the recording. If you need to perform, then this is a benefit to rhythm and sounds that require precise timing. Akai MPD218. This controller is known for it’s portability, compact controls and intuitive use. Many professionals who require both performing and producing have added this gear into their top list of equipment. The MPD218 uses the MPC series, specifically which allows more control of beats and sounds with additional, program controls. There are 16 pressure sensitive pads for new beats as well as 48 sounds with three sound banks. An advantage of the software is with Q-Link controllers, faders and buttons for extra production. Akai Professional Advance. This is the top of the line for Akai and is worth taking note of. The models are available in 49 or 61 key versions for the top musician. While this is more expensive than other Akai models, it also includes the advanced technologies that other brands don’t include. The Professional Advance offers a VIP, or virtual instrument player technology. It is known for lessening the constraints on recording and manipulating sounds, allowing you to integrate to the unique sounds you are piecing together. It also includes real – time controls for pre-programmed sounds that allow you to integrate layers into a performance or recording. 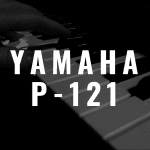 Advanced layers, patches and splitting on the keyboard offer more to the professional musician. These versions of Akai are measured by popularity, pricing and features for different musicians. Each of the recommendations offer diverse levels of recording or performing needs as well as the additional technologies that are required for a complete controller. Other versions of Akai match these models or provide a range between the pricing or complete, advanced controls. You can note that specific versions also have added in new technologies, such as VIP or Wireless adaptability, setting Akai apart from it’s competitors. Akai stands apart from other brands as a popular option for recording and performing artists. Controllers, such as through Korg or Roland combine performance versatility with controllers. You may note that these brands include 88 keyboard options, fully weighted keys and performance based controls. However, this compromises the number of effects that you can add into the recordings. Akai focuses instead on the controllers and how it integrates to the recording and performance. You will find more versatility with the sounds, effects and ability to control performances than from other brands. The Akai innovation, while remaining similar to Novation, has set it’s brand apart with additional technologies and features. This has allowed the brand to remain in the lead with the type of controllers offered. The MCP, VIP and wireless technologies are some of the upgrades that have allowed the controller to remain ahead in the competition. In recording, brand makes a complete difference in the sounds and approach of a musician. If you need compatibility and a full range of controls, Akai can offer the complete set of needs. You will find that the versatility, light weight and diverse controls of these models are able to provide the serious musician with the complete control and effects needed with a top piece of gear. What’s the Best 32 Key MIDI Keyboard? What’s the Best 49-Key MIDI Keyboard? What’s the Best 88-Key MIDI Keyboard? What’s the Best 25 Key MIDI Controller?